G. David Nordley. 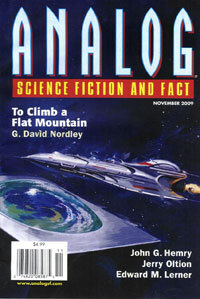 To Climb a Flat Mountain. Part I of II. Stephen Baxter. Starfall. PS Publishing 2009.